When you first hear someone talk about RiNo in Denver, I’m sure the first place your mind goes is wondering where the heck this Rhinoceros is and why the heck it is running around Denver so freely. But people are not talking about an actual animal, they are talking about one of the budding neighborhoods in Denver located just north of downtown Denver hence where it gets its name, RiNo, which stands for River North. This unique area is full of creative businesses, art galleries, architects, designers, illustrators, authors, wineries, distilleries, small-batch breweries, painters, photographers and an array of studio spaces. To say it is a growing area full of all things art would be an understatement, this area is quickly becoming the “it” place to spend evenings and weekends. RiNo is known for its industrial feel with its spread of old factories that have been converted into restaurants, studio spaces, and hangout areas for weekend events. One of the most popular spots in RiNo is the Source, a remodeled factory and a foodie’s heaven with gourmet taqueria, a craft brewery, a distillery, a bakery, farm-to-table restaurant, and more all found in one location. There are also talks of a hotel being built right next-door to the Source making this spot even hotter. RiNo has some great weekend activities in the summer, from first Fridays of each month to the weekly Saturday gathering called the Big Wonderful where food, music, and shopping come together in a full-day event. There are also some great bars in the neighborhood, including a little underground music venue called the Meadowlark which has live music and a great patio, Larimer Lounge also known to host some great musicians, Matchbox which offers up some tasty beverages, and many a restaurant to cater to just about anyone. If you are down in RiNo during the day make sure to stop at Crema Coffeehouse for a delicious cup of joe or Sugarmill for a yummy sweet. Because of the continuing growth of Denver, there are only so many directions the city can expand. RiNo is a main area of new development as the city continues to boom. Real estate has taken off here and although right now there appear to be many vacant buildings and lots in RiNo, investors know the potential of the area and those properties are starting to get snatched up quickly. The residential market in RiNo has grown exponentially as well with prices of places being sold up 21% from 2013 to 2014. There are many great neighborhoods in RiNo and many houses that need some good love but would make amazing homes. 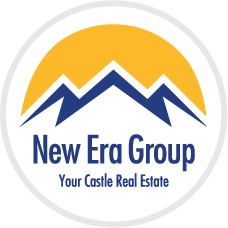 If you are thinking that RiNo is a place you need to check out, make sure to call one of our experienced agents and chat with them about what it is you are looking for. 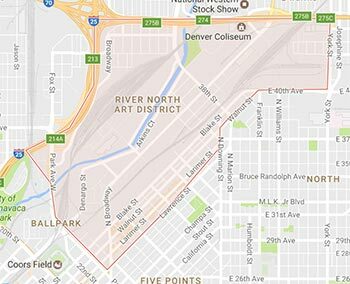 It isn’t quite the animal everyone thinks it is but RiNo is a large and booming neighborhood with so much to offer.